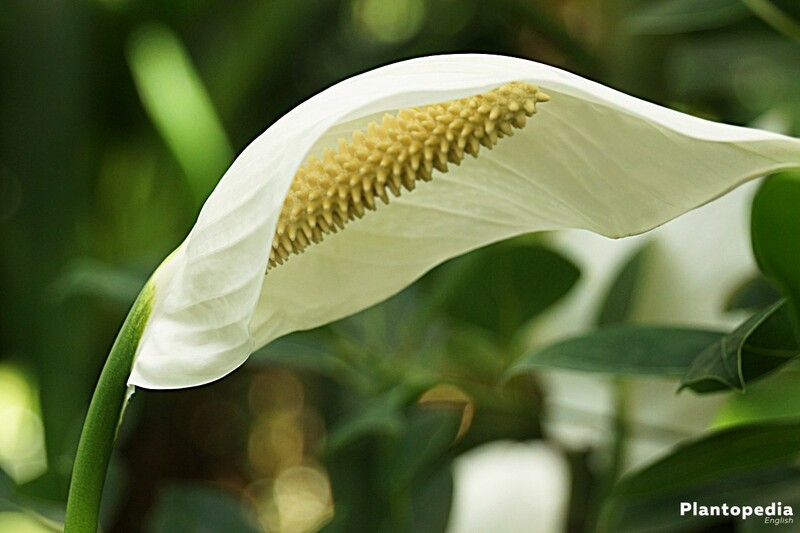 The pretty genus Spathiphyllum catches the attention of plant lovers with its radiant white flowers. 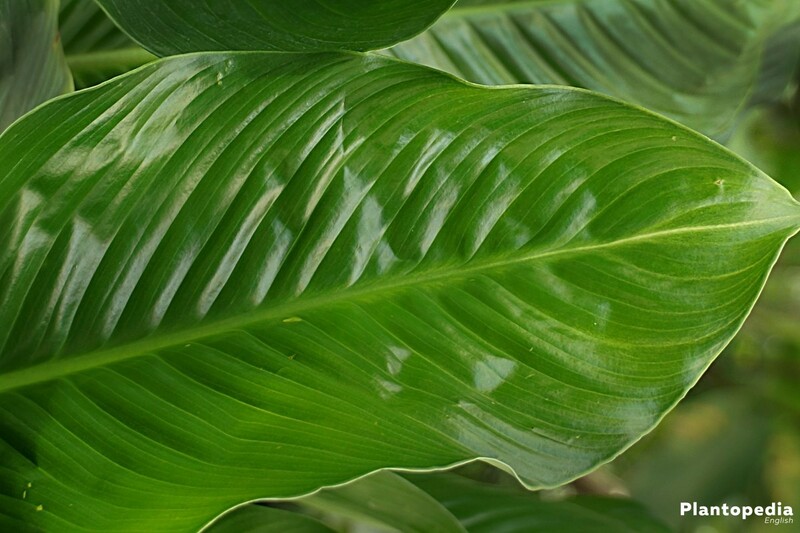 This plant with its conspicuously large leaves also goes by the name of peace lily, white sail or spathe flower. 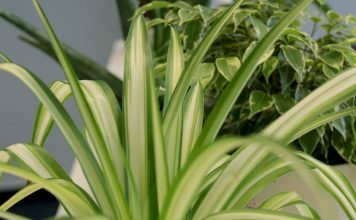 Nowadays it is being forced to abandon its tropical origin due to hybrid breeding, which is why commercially available plants are perfectly adapted to indoor spaces and very easy to care for. 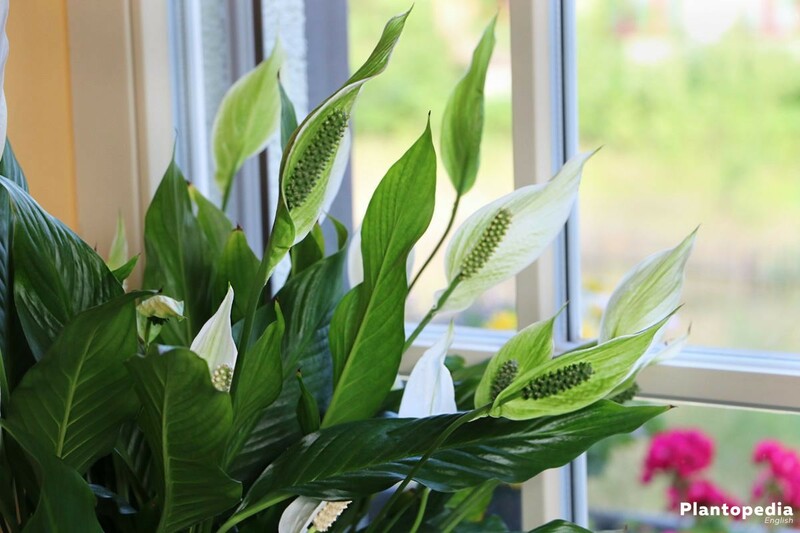 Unlike many other home plants, Spathiphyllum is at ease in rooms that are half-shaded or even completely shaded. Even though it loves the light, it doesn’t mind going without direct sunlight at all. 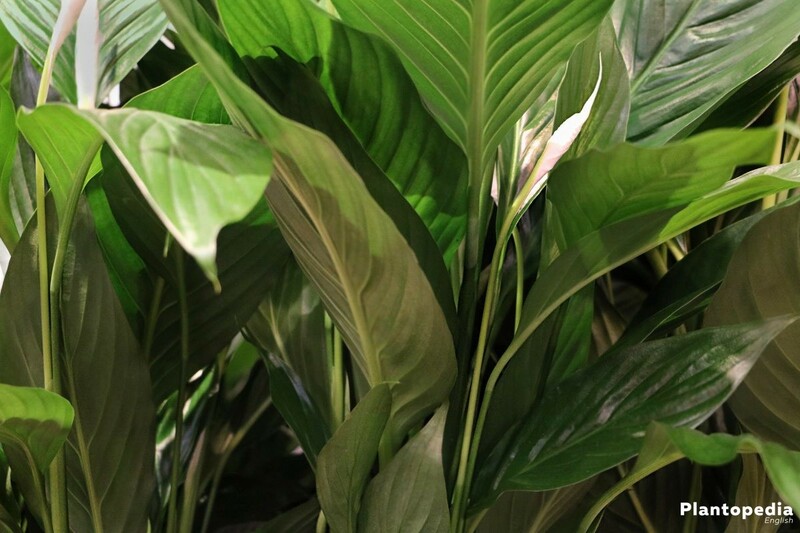 The location of Spathiphyllum is just one factor involved in this strikingly beautiful plant’s flourishing. 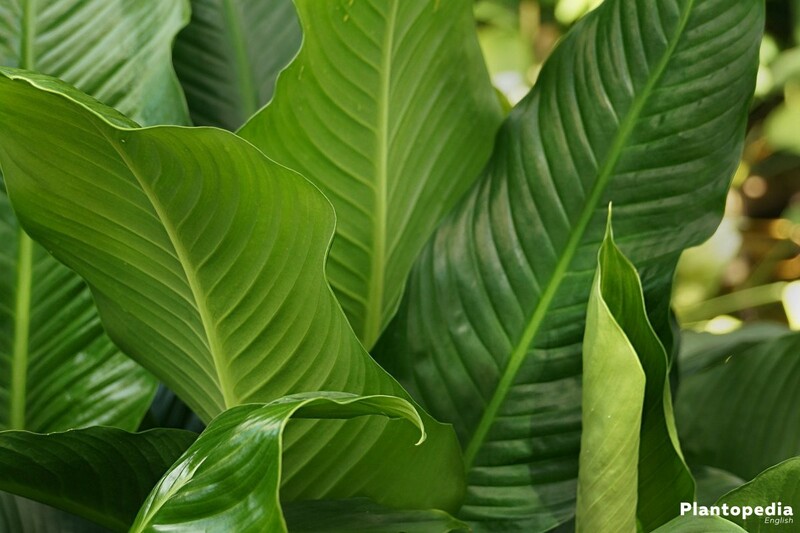 In our care instructions for Spathiphyllum, we describe in detail what you need to know about its treatment. Peace lilies are especially delightful because of their beautiful white flowers. They distinctly overtop the dark green leaves and thereby appear very elegant. Those who experience peace lilies for the first time will take pleasure in the long blooming period because every single flower survives a span of several weeks and usually forms various pedicels. Modern breeding has achieved to turn a tropical plant into a wonderful European home plant full of character. This plant’s modern breeding allows easy maintenance that also awards people without a green thumb with a successful outcome. Just follow our instructions and you will be rewarded with the growth of a splendid plant. Peace lilies don’t like being exposed to direct sunlight at all! You will quickly notice how they go limp with their leaves hanging down. A half-shaded or even shaded spot is perfect in order to thrive. Therefore, rooms with unfavorable light conditions can now contain a home plant, too. Peace lilies are cultivated in loose and well-aerated soils. You can use a good store-bought potting compost or your own mix. For that, you need about a third of compost, one part decomposed foliage leaves and one part sand. Blend everything well and put in the plant. If you are using pure soil, the undermost layer should consist of expanded clay or clay fragments. This layer ensures that the liquid from watering can run off and the roots don’t suffer from waterlogging. Put a layer of small pebbles in your cachepot and fill it with a bit of water. Now put the actual flower pot on top of the pebbles without the roots getting wet. This is only about the air humidity that rises and benefits the plant. Because peace lilies are only commercially available as indoor plants, we will skip the topic planting time in an outdoor garden. You will find more information on division in the chapter reproduction. 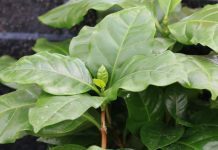 Commercially available plants already come with a good soil. For good flourishing, the soil can be replaced with fresh soil once a year. Generally, watering Spathiphyllum is very easy to handle. The perfect basis is regular watering to keep the soil moist. This means you should water your peace lily just when you become aware of the topmost soil layer appearing dry. 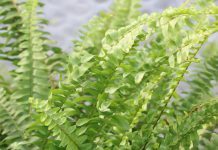 In lighter and warmer spots it usually has a higher need for water than in shaded places. 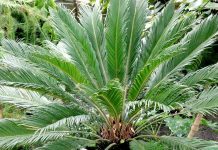 Being originally a plant of tropical regions, it loves high air humidity. In order to not increase the humidity in the entire room, it proves helpful to place a small indoor fountain nearby or to place the flower pot on a flat bowl with pebbles and water. It is important though that the roots must not suffer from waterlogging. It is really only about rising moisture. Should the plant permanently display browning tips, air humidity in the room is too low. Helpful is a spray bottle for gently wetting the leaves. Hint: Don’t spray the flowers with water or fertilizer, because they will become blotchy! The growth period of peace lilies begins in spring. This is the best time to supply the plant with nutrients. A customary liquid fertilizer is added every fourteen days when watering the plant. Pay attention to the concentration that is listed and fertilize accordingly. Spathiphyllum is very sensitive to salt. Therefore, it is a good approach to always fertilize the moist earth because the fertilizer is more evenly distributed and the roots can absorb the nutrients more efficiently. 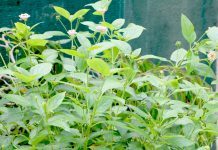 If the plant is kept in a very warm space during winter, it is also advisable to support is with fertilizer once a month. 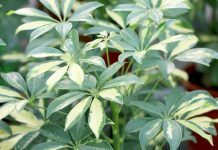 The formation of small brown dots of the leaves of a peace lily indicate that is has been given too much fertilizer. When fertilizing the next time, the concentration should be reduced. Even better: repotting the plant immediately so that it can recover quickly. 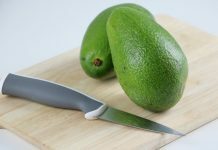 Theoretically, a new propagation can be initiated with a seed from the plant. Germination occurs in a so-called breeding box at temperatures above 25°C and high air humidity. After germination, the seedling if planted into a small bale containing peat for the time being and develops strong roots. Only later it will be replanted into a flower pot. But it is difficult to obtain seed from peace lilies. The peace lily’s development will depend on where it is put. In light rooms it grows faster than it would in a shaded place. 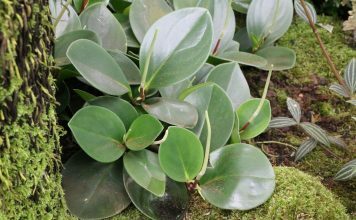 The plants are usually sold in pots of 20 cm in size and depending on room conditions, repotting may be necessary in spring. You know this is the case when you notice roots extending beyond the pot. Over time, Spathiphyllum becomes rather bushy and can then be transferred into a larger pot or divided. 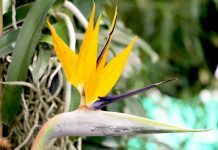 For the plant to stay as large as it is, it is transferred to a new flower pot that is at least two fingers broader than the previous one. Parts of the old earth are carefully brushed off, fresh flower soil is added to the pot. Then the plant is inserted and watered. Alternatively you can also divide your peace lily. For more information please continue reading the next chapter on reproduction. A sunroom or winter garden is definitely too cold for Spathiphyllum. This pretty decorative plant needs at least 15°C and the previously mentioned air humidity. 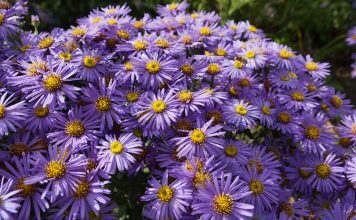 At cooler temperatures it will quickly go limp with its leaves hanging down. A warm room is ideal, it is still regularly watered, but not fertilized. Peace lilies are not cut. 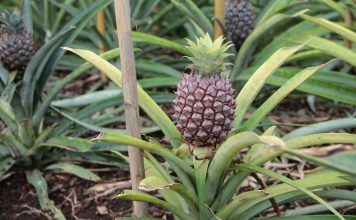 Only dried up or withered parts of the plant are removed using scissors. 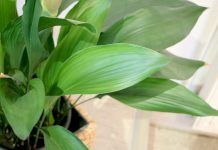 Reproduction of Spathiphyllum is achieved by dividing the plants. 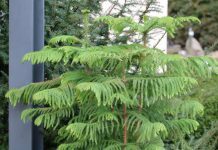 Once they have reached a considerable size after one or two years, you can turn one plant into two. The plant is carefully taken out of the pot and the old soil is brushed off. Then the plant is carefully split by diving the roots, so that there two halves. Once you are in the process of doing this, you can of course split it up into more plants. 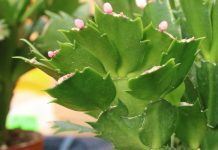 Should small parts of the plant accidentally come off, they can be put into a glass of water where they grow new roots and can later be planted into a flower pot. Peace lilies are generally robust plants that are not often infested by diseases or pests. Nevertheless, some points should be taken into account. Depending on how high air humidity is, peace lilies can occasionally be afflicted with the red spider. These animals always seek the plant, when air humidity is too low! A spray bottle containing water helps to avoid this, this way the plant can we wetted daily or every other day. 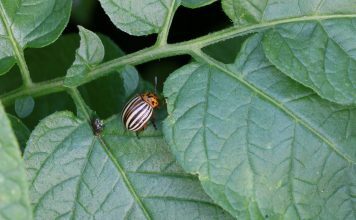 The bottom side of the leaves should be checked for the spider mite. What helps is a thorough shower in the bath tub or spraying it with light soapsuds. Other pests don’t infest peace lilies. Brown leaf tips are a frequently observed problem. They always indicate that air humidity is too low. 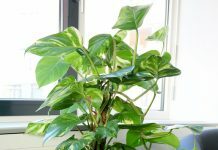 If you don’t want increased air humidity in your rooms, you should repeatedly spray the plant with water. Thereby you simulate the climatic conditions of tropical regions. After a short time there shouldn’t be any more brown tips. Brown dots on the leaf surface are a different case. These indicate that too much fertilizer has been added. Spathiphyllum displays a very sensitive reaction to salt, which is why fertilizer sticks are not advisable. Furthermore, it is important to note that fertilizer should only be added after watering the plant. 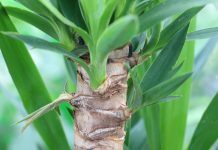 If this is not kept in mind, the roots absorb the fertilizer immediately in a very concentrated form, which in turn leads to dark spots on the surface of the leaves. The high air humidity can lead to fungal infestation. To avoid this, the pot should be well-aerated. A drainage consisting of small pebbles, expanded clay or clay fragments ensures thorough ventilation and reduces the risk of a fungal infestation.